Chiffon, Georgette & Crepe Saris, This Sari Store Is Lit! Shop saris in all kinds of awesome fabrics at Signoraa in Nungambakkam. From Kota to tussar cotton, they’ve got them all. Going sari hopping? You can’t miss out on this boutique in Nungambakkam - it’s for all saree-o-holics (can that be a word?) in namma Chennai. 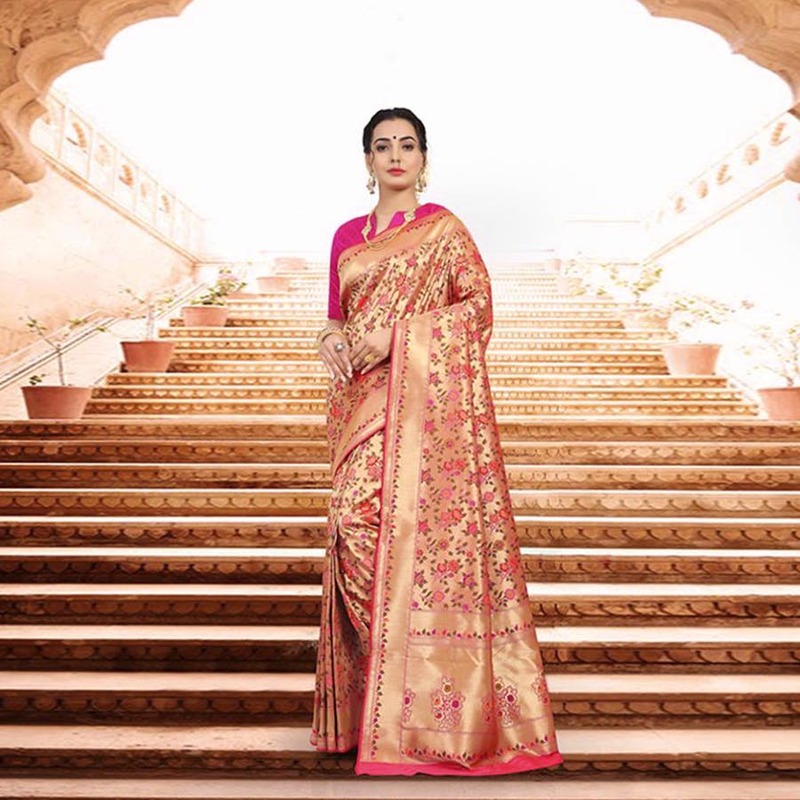 Signoraa’s motto is to create unique saris for their customers and their game is on point. Their massive sari collection guarantees a plethora of fabrics, motifs, and colour schemes. Starting with the fabrics, they’ve got Banarasi silk georgettes, Kota, paithani, Kanchivaram tussar, jute cotton, and woven net saris. When it comes to prints, you’re bound to be confused by great options right from block prints to kalamkari and hand-woven saris. Shopping for weddings got super easy, thanks to their collection of handloom saris which is both style and story. Woven by weavers from across India, their handloom saris are a big yes-yes if you’re looking for one-of-a-kind saris. We love the Banarasi collection - bright hues and blues, intricate embroidery, and detailed designs, you’ll fall in love with them. We also like the Banarasi dupattas which look like they’re right out of a hit Bollywood film. The handloom saris are priced from INR 8,000 and chiffon and georgette saris are priced from INR 1,500.